Professor Dermot Bowler graduated from Trinity College Dublin in 1976 and gained his PhD from the University of London in 1986. After working at the Thomas Coram Research Unit and the Medical Research Council, he joined City University London as a lecturer in 1990. He has also held honorary positions at the Universite de Montreal and is currently an adjunct professor at McGill University, Montreal. 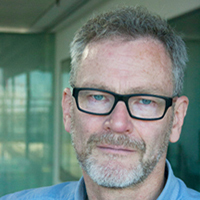 Professor Bowler's research interests focus on memory in people from the high functioning end of the autism spectrum, and have been generously supported by the Medical Research Council, the Economic and Social Research Council, the Wellcome Trust, the Nuffield foundation and Autism Speaks. Boucher, J. and Bowler, D. (2008). Foreword. ISBN 978-0-521-86288-2. Bowler, D., Gaigg, S. and Lind, S.E. (2011). Researching the Autism Spectrum. In Roth, I. and Rezaie, P. (Eds. ), Researching the Autism Spectrum: Contemporary perspectives (pp. 316–346). Cambridge: Cambridge University Press. ISBN 978-0-521-73686-2. Bowler, D., Gaigg, S. and Lind, S. (2011). Memory in autism: Binding, self and brain. Researching the Autism Spectrum: Contemporary Perspectives (pp. 316–346). ISBN 978-0-521-51896-3. Lind, S.E. and Bowler, D. (2010). Episodic memory and autonoetic consciousness in autism spectrum disorders: The roles of self-awareness, representational abilities, and temporal cognition. In Boucher, J. and Bowler, D. (Eds. ), Memory in Autism (pp. 166–187). Cambridge: Cambridge University Press. ISBN 978-0-521-18401-4. Boucher, J. and Bowler, D. (2008). Memory in autism. (pp. 1–358). ISBN 978-0-521-86288-2. Desaunay, P., Briant, A., Bowler, D.M., Gerardin, P., Guenole, F., Eustache, F. … Guillery-Girard, B. (2018). Episodic memory in autism spectrum disorder: A meta-analysis. Bowler, D.M., Gardiner, J.M., Grice, S. and Saavalainen, P. (2000). Memory illusions: False recall and recognition in adults with Asperger's syndrome. 6th Annual Meeting of the Cognitive-Neuroscience-Society Apr 1999, Washington, D.C..
Bowler, D.M. (2001). Autism: Specific cognitive deficit or emergent end point of multiple interacting systems? Fifth European Congress of Psychology 6 Jul 1997 – 11 Jul 1997, Dublin, Ireland. Bowler, D.M. and Briskman, J.A. (2000). Photographic cues do not always facilitate performance on false belief tasks in children with autism. Annual Conference of the British Psychological Society 8 Sep 1995 – 11 Sep 1995, Univ Strathclyde, Glasgow, Scotland. Bowler, D.M. (1992). Theory of mind in Asperger's syndrome. London Conference of the British Psychological Soc Dec 1989, London, England. Constable, P.A., Ring, M., Gaigg, S.B. and Bowler, D.M. (2018). Problem-solving styles in autism spectrum disorder and the development of higher cognitive functions. Autism, 22(5), pp. 597–608. doi:10.1177/1362361317691044 . Ring, M., Gaigg, S.B., Altgassen, M., Barr, P. and Bowler, D.M. (2018). Allocentric Versus Egocentric Spatial Memory in Adults with Autism Spectrum Disorder. Journal of Autism and Developmental Disorders, 48(6), pp. 2101–2111. doi:10.1007/s10803-018-3465-5 . Ring, M., Gaigg, S.B., de Condappa, O., Wiener, J.M. and Bowler, D.M. (2018). Spatial navigation from same and different directions: The role of executive functions, memory and attention in adults with autism spectrum disorder. Autism Research, 11(5), pp. 798–810. doi:10.1002/aur.1924 . Semino, S., Ring, M., Bowler, D.M. and Gaigg, S.B. (2018). The Influence of task Demands, Verbal Ability and Executive Functions on Item and Source Memory in Autism Spectrum Disorder. Journal of Autism and Developmental Disorders, 48(1), pp. 184–197. doi:10.1007/s10803-017-3299-6 . Roestorf, A., Bowler, D.M., Deserno, M.K., Howlin, P., Klinger, L., McConachie, H. … Geurts, H.M. (2018). “Older Adults with ASD: The Consequences of Aging.” Insights from a series of special interest group meetings held at the International Society for Autism Research 2016–2017. Research in Autism Spectrum Disorders. doi:10.1016/j.rasd.2018.08.007 . Ring, M., Bowler, D.M. and Gaigg, S.B. (2017). An Eye-Movement Study of relational Memory in Adults with Autism Spectrum Disorder. Journal of Autism and Developmental Disorders, 47(10), pp. 2981–2991. doi:10.1007/s10803-017-3212-3 . Desaunay, P., Clochon, P., Doidy, F., Lambrechts, A., Bowler, D.M., Gérardin, P. … Guillery-Girard, B. (2017). Impact of semantic relatedness on associative memory: An ERP study. Frontiers in Human Neuroscience, 11. doi:10.3389/fnhum.2017.00335 . Ring, M., Derwent, C.L.T., Gaigg, S.B. and Bowler, D.M. (2017). Structural learning difficulties implicate altered hippocampal functioning in adults with Autism Spectrum Disorder. Journal of Abnormal Psychology, 126(6), pp. 793–804. doi:10.1037/abn0000277 . Fusaroli, R., Lambrechts, A., Bang, D., Bowler, D.M. and Gaigg, S.B. (2017). “Is voice a marker for Autism spectrum disorder? A systematic review and meta-analysis”. Autism Research, 10(3), pp. 384–407. doi:10.1002/aur.1678 . Bowler, D., Poirier, M., Martin, J. and Gaigg, S.B. (2016). Non-Verbal Short-Term Serial Memory In Autism Spectrum Disorder. Journal of Abnormal Psychology, 125(7), pp. 886–896. doi:10.1037/abn0000203 . Constable, P.A., Gaigg, S.B., Bowler, D.M., Jägle, H. and Thompson, D.A. (2016). Full-field electroretinogram in autism spectrum disorder. Documenta Ophthalmologica, 132(2), pp. 83–99. doi:10.1007/s10633-016-9529-y . Ring, M., Gaigg, S.B. and Bowler, D.M. (2016). Relational Memory Processes in Adults with Autism Spectrum Disorder. Autism Research, 9(1), pp. 97–106. doi:10.1002/aur.1493 . Ring, M., Gaigg, S.B. and Bowler, D.M. (2015). Object-location memory in adults with autism spectrum disorder. Autism Research, 8(5), pp. 609–619. doi:10.1002/aur.1478 . Bowler, D.M., Gaigg, S.B. and Gardiner, J.M. (2015). Brief Report: The Role of Task Support in the Spatial and Temporal Source Memory of Adults with Autism Spectrum Disorder. Journal of Autism and Developmental Disorders, 45(8), pp. 2613–2617. doi:10.1007/s10803-015-2378-9 . Gaigg, S.B., Bowler, D.M., Ecker, C., Calvo-Merino, B. and Murphy, D.G. (2015). Episodic Recollection Difficulties in ASD Result from Atypical Relational Encoding: Behavioral and Neural Evidence. Autism Research, 8(3), pp. 317–327. doi:10.1002/aur.1448 . Maras, K.L. and Bowler, D.M. (2014). Eyewitness Testimony in Autism Spectrum Disorder: A Review. Journal of Autism and Developmental Disorders, 44(11), pp. 2682–2697. doi:10.1007/s10803-012-1502-3 . Lind, S., Williams, D.M., Bowler, D. and Peel, A. (2014). Episodic memory and episodic future thinking impairments in high-functioning autism spectrum disorder: An underlying difficulty with scene construction or self-projection? Neuropsychology, 28(1), pp. 55–65. doi:10.1037/neu0000005 . Gaigg, S.B., Bowler, D.M. and Gardiner, J.M. (2014). Episodic but not semantic order memory difficulties in autism spectrum disorder: evidence from the Historical Figures Task. Memory, 22(6), pp. 669–678. doi:10.1080/09658211.2013.811256 . Bowler, D.M., Gaigg, S.B. and Gardiner, J.M. (2014). Binding of multiple features in memory by high-functioning adults with autism spectrum disorder. Journal of Autism and Developmental Disorders, 44(9), pp. 2355–2362. doi:10.1007/s10803-014-2105-y . Meyer, B.J., Gardiner, J.M. and Bowler, D.M. (2014). Directed forgetting in high-functioning adults with autism spectrum disorders. Journal of Autism and Developmental Disorders, 44(10), pp. 2514–2524. doi:10.1007/s10803-014-2121-y . Maras, K.L., Mulcahy, S., Memon, A., Picariello, F. and Bowler, D.M. (2014). Evaluating the effectiveness of the self-administered interview© for witnesses with autism spectrum disorder. Applied Cognitive Psychology, 28(5), pp. 693–701. doi:10.1002/acp.3055 . Maras, K.L., Wimmer, M.C., Robinson, E.J. and Bowler, D.M. (2014). Mental imagery scanning in autism spectrum disorder. Research in Autism Spectrum Disorders, 8(10), pp. 1416–1423. doi:10.1016/j.rasd.2014.07.003 . Lind, S.E., Bowler, D.M. and Raber, J. (2014). Spatial navigation, episodic memory, episodic future thinking, and theory of mind in children with autism spectrum disorder: Evidence for impairments in mental simulation? Frontiers in Psychology, 5(DEC). doi:10.3389/fpsyg.2014.01411 . Williams, D.M. and Bowler, D.M. (2014). Autism spectrum disorder: Fractionable or coherent? Autism, 18(1), pp. 2–5. doi:10.1177/1362361313513523 . Massand, E., Bowler, D.M., Mottron, L., Hosein, A. and Jemel, B. (2013). ERP Correlates of Recognition Memory in Autism Spectrum Disorder. JOURNAL OF AUTISM AND DEVELOPMENTAL DISORDERS, 43(9), pp. 2038–2047. doi:10.1007/s10803-012-1755-x . Maras, K.L., Memon, A., Lambrechts, A. and Bowler, D.M. (2013). Recall of a live and personally experienced eyewitness event by adults with autism spectrum disorder. Journal of Autism and Developmental Disorders, 43(8), pp. 1798–1810. doi:10.1007/s10803-012-1729-z . Massand, E. and Bowler, D.M. (2013). Atypical Neurophysiology Underlying Episodic and Semantic Memory in Adults with Autism Spectrum Disorder. Journal of Autism and Developmental Disorders, 45(2), pp. 298–315. doi:10.1007/s10803-013-1869-9 . Lind, S.E., Williams, D.M., Raber, J., Peel, A. and Bowler, D.M. (2013). Spatial navigation impairments among intellectually high-functioning adults with autism spectrum disorder: Exploring relations with theory of mind, episodic memory, and episodic future thinking. Journal of Abnormal Psychology, 122(4), pp. 1189–1199. doi:10.1037/a0034819 . Maras, K.L., Gaigg, S.B. and Bowler, D.M. (2012). Memory for emotionally arousing events over time in Autism Spectrum Disorder. Emotion, 12(5), pp. 1118–1128. doi:10.1037/a0026679 . Constable, P., Gaigg, S.B., Bowler, D.M. and Thompson, D.A. (2012). Motion and pattern cortical potentials in adults with high-functioning autism spectrum disorder. Documenta Ophthalmologica, 125(3), pp. 219–227. doi:10.1007/s10633-012-9349-7 . Maras, K.L. and Bowler, D.M. (2012). Context reinstatement effects on eyewitness memory in autism spectrum disorder. British Journal of Psychology, 103(3), pp. 330–342. doi:10.1111/j.2044-8295.2011.02077.x . Maras, K.L. and Bowler, D.M. (2012). Brief report: Suggestibility, compliance and psychological traits in high-functioning adults with autism spectrum disorder. Research in Autism Spectrum Disorders, 6(3), pp. 1168–1175. doi:10.1016/j.rasd.2012.03.013 . Bowler, D. (2012). Editorial. Autism, 16(3), pp. 223–225. doi:10.1177/1362361312445960 . Williams, D.M., Bowler, D.M. and Jarrold, C. (2012). Inner speech is used to mediate short-term memory, but not planning, among intellectually high-functioning adults with autism spectrum disorder. Development and Psychopathology, 24(1), pp. 225–239. doi:10.1017/S0954579411000794 . Williams, D.M., Bowler, D.M. and Jarrold, C. (2012). Inner speech is used to mediate short-term memory, but not planning, among intellectually high-functioning adults with autism spectrum disorder. Development and Psychopathology, 24(1), pp. 225–239. Crane, L., Lind, S.E. and Bowler, D.M. (2012). Remembering the past and imagining the future in autism spectrum disorder. Memory, 21(2), pp. 157–166. doi:10.1080/09658211.2012.712976 . Bowler, D.M. (2011). The theme of emotion. Autism : the international journal of research and practice, 15(6), pp. 652–653. Bowler, D.M. (2011). Editorial. Autism, 15(6), pp. 651–653. doi:10.1177/1362361311427371 . Maras, K. and Bowler, D.M. (2011). Brief Report: Schema Consistent Misinformation Effects in Eyewitnesses with Autism Spectrum Disorder. JOURNAL OF AUTISM AND DEVELOPMENTAL DISORDERS, 41(6), pp. 815–820. doi:10.1007/s10803-010-1089-5 . Bowler, D. (2011). Autism: Editorial. Autism, 15(2), pp. 139–141. doi:10.1177/1362361311405570 . Maras, K.L. and Bowler, D.M. (2010). The Cognitive Interview for Eyewitnesses with Autism Spectrum Disorder. JOURNAL OF AUTISM AND DEVELOPMENTAL DISORDERS, 40(11), pp. 1350–1360. doi:10.1007/s10803-010-0997-8 . Bowler, D. (2010). Autism: Editorial. Autism, 14(6), pp. 555–557. doi:10.1177/1362361310390570 . Hobson, J. and Bowler, D. (2010). Autism: Editorial. Autism, 14(5), pp. 387–389. doi:10.1177/1362361310372379 . Lind, S.E. and Bowler, D.M. (2010). Impaired Performance on See-Know Tasks Amongst Children with Autism: Evidence of Specific Difficulties with Theory of Mind or Domain-General Task Factors? JOURNAL OF AUTISM AND DEVELOPMENTAL DISORDERS, 40(4), pp. 479–484. doi:10.1007/s10803-009-0889-y . Bowler, D.M., Gaigg, S.B. and Gardiner, J.M. (2010). Multiple list learning in adults with autism spectrum disorder: parallels with frontal lobe damage or further evidence of diminished relational processing? J Autism Dev Disord, 40(2), pp. 179–187. doi:10.1007/s10803-009-0845-x . Constable, P.A., Solomon, J.A., Gaigg, S.B. and Bowler, D.M. (2010). Crowding and visual search in high functioning adults with autism spectrum disorder. Clinical Optometry, 2, pp. 93–103. Lind, S.E. and Bowler, D.M. (2010). Episodic memory and episodic future thinking in adults with autism. Journal of Abnormal Psychology, 119(4), pp. 896–905. doi:10.1037/a0020631 . Maras, K.L. and Bowler, D.M. (2010). The Cognitive Interview for Eyewitnesses with Autism Spectrum Disorder. Journal of Autism and Developmental Disorders pp. 1–11. Gaigg, S.B. and Bowler, D.M. (2009). Brief report: Attenuated emotional suppression of the attentional blink in Autism Spectrum Disorder: another non-social abnormality? J Autism Dev Disord, 39(8), pp. 1211–1217. doi:10.1007/s10803-009-0719-2 . Bowler, D. (2009). Editorial. Autism, 13(4), pp. 339–341. doi:10.1177/1362361309106691 . Gaigg, S.B. and Bowler, D.M. (2009). Illusory memories of emotionally charged words in autism spectrum disorder: further evidence for atypical emotion processing outside the social domain. J Autism Dev Disord, 39(7), pp. 1031–1038. doi:10.1007/s10803-009-0710-y . Bowler, D.M., Limoges, E. and Mottron, L. (2009). Different Verbal Learning Strategies in Autism Spectrum Disorder: Evidence from the Rey Auditory Verbal Learning Test. JOURNAL OF AUTISM AND DEVELOPMENTAL DISORDERS, 39(6), pp. 910–915. doi:10.1007/s10803-009-0697-4 . Lind, S.E. and Bowler, D.M. (2009). Language and Theory of Mind in Autism Spectrum Disorder: The Relationship Between Complement Syntax and False Belief Task Performance. JOURNAL OF AUTISM AND DEVELOPMENTAL DISORDERS, 39(6), pp. 929–937. doi:10.1007/s10803-009-0702-y . Bowler, D.M., Gaigg, S.B. and Gardiner, J.M. (2009). Free recall learning of hierarchically organised lists by adults with Asperger's syndrome: additional evidence for diminished relational processing. J Autism Dev Disord, 39(4), pp. 589–595. doi:10.1007/s10803-008-0659-2 . Lind, S.E. and Bowler, D.M. (2009). Delayed Self-recognition in Children with Autism Spectrum Disorder. JOURNAL OF AUTISM AND DEVELOPMENTAL DISORDERS, 39(4), pp. 643–650. doi:10.1007/s10803-008-0670-7 . Bowler, D. (2009). Editorial. Autism, 13(1), pp. 5–8. doi:10.1177/1362361308101921 . Lind, S.E. and Bowler, D.M. (2009). Recognition memory, self-other source memory, and theory-of-mind in children with autism spectrum disorder. Journal of Autism and Developmental Disorders, 39(9), pp. 1231–1239. doi:10.1007/s10803-009-0735-2 . Lind, S. and Bowler, D. (2009). Recognition memory, self-other source memory, and theory-of-mind in children with autism spectrum disorder. Journal of Autism and Developmental Disorders, 39(9), pp. 1231–1239. doi:10.1007/s10803-009-0735-2 . Bowler, D. (2009). Editorial. Autism, 13(6), pp. 547–549. doi:10.1177/1362361309349301 . Molesworth, C.J., Bowler, D.M. and Hampton, J.A. (2008). When prototypes are not best: judgments made by children with autism. J Autism Dev Disord, 38(9), pp. 1721–1730. doi:10.1007/s10803-008-0557-7 . Gaigg, S.B. and Bowler, D.M. (2008). Free recall and forgetting of emotionally arousing words in autism spectrum disorder. Neuropsychologia, 46(9), pp. 2336–2343. doi:10.1016/j.neuropsychologia.2008.03.008 . Bowler, D. (2008). Editorial. Autism, 12(4), pp. 331–333. doi:10.1177/1362361307094932 . Saavalainen, P.M., Luoma, L., Laukkanen, E., Bowler, D.M., Maatta, S., Kiviniemi, V. … Herrgard, E. (2008). School performance of adolescents born preterm: Neuropsychological and background correlates. EUROPEAN JOURNAL OF PAEDIATRIC NEUROLOGY, 12(3), pp. 246–252. doi:10.1016/j.ejpn.2007.08.007 . Bowler, D. (2008). Editorial. Autism, 12(3), pp. 227–229. doi:10.1177/1362361307091979 . Bowler, D.M., Gaigg, S.B. and Gardiner, J.M. (2008). Effects of related and unrelated context on recall and recognition by adults with high-functioning autism spectrum disorder. Neuropsychologia, 46(4), pp. 993–999. doi:10.1016/j.neuropsychologia.2007.12.004 . Gaigg, S.B., Gardiner, J.M. and Bowler, D.M. (2008). Free recall in autism spectrum disorder: the role of relational and item-specific encoding. Neuropsychologia, 46(4), pp. 983–992. doi:10.1016/j.neuropsychologia.2007.11.011 . Bowler, D.M., Gaigg, S.B. and Gardiner, J.M. (2008). Subjective organisation in the free recall learning of adults with Asperger's syndrome. J Autism Dev Disord, 38(1), pp. 104–113. doi:10.1007/s10803-007-0366-4 . Bowler, D. (2007). Editorial. Autism, 11(5), pp. 395–396. doi:10.1177/1362361307081272 . Ravi, I. (2007). Editorial. IET Systems Biology, 1(4), pp. 203–203. doi:10.1049/iet-syb:20079018 . Gaigg, S.B. and Bowler, D.M. (2007). Differential fear conditioning in Asperger's syndrome: implications for an amygdala theory of autism. Neuropsychologia, 45(9), pp. 2125–2134. doi:10.1016/j.neuropsychologia.2007.01.012 . Bowler, D. (2007). Editorial. Autism, 11(3), pp. 203–204. doi:10.1177/1362361307076841 . Bowler, D.M., Gardiner, J.M. and Gaigg, S.B. (2007). Factors affecting conscious awareness in the recollective experience of adults with Asperger's syndrome. Consciousness and Cognition, 16(1), pp. 124–143. doi:10.1016/j.concog.2005.12.001 . Smith, B.J., Gardiner, J.M. and Bowler, D.M. (2007). Deficits in free recall persist in Asperger's syndrome despite training in the use of list-appropriate learning strategies. JOURNAL OF AUTISM AND DEVELOPMENTAL DISORDERS, 37(3), pp. 445–454. doi:10.1007/s10803-006-0180-4 . Saavalainen, P., Luoma, L., Bowler, D., Maeaettae, S., Kiviniemi, V., Laukkanen, E. … Herrgard, E. (2007). Spatial span in very prematurely born adolescents. DEVELOPMENTAL NEUROPSYCHOLOGY, 32(3), pp. 769–785. doi:10.1080/87565640701539535 . Jordan, R., Howlin, P. and Bowler, D. (2006). Editorial. Autism, 10(5), pp. 435–437. doi:10.1177/1362361306069762 . Jordan, R., Howlin, P. and Bowler, D. (2006). Editorial. Autism, 10(4), pp. 315–316. doi:10.1177/1362361306068107 . Jordan, R., Howlin, P. and Bowler, D. (2006). Editorial. Autism, 10(3), pp. 227–228. doi:10.1177/1362361306066214 . Howlin, P., Jordan, R. and Bowler, D. (2006). Editorial. Autism, 10(2), pp. 123–124. doi:10.1177/1362361306064357 . Saavalainen, P., Luoma, L., Bowler, D., Timonen, T., Maatta, S., Laukkanen, E. … Herrgard, E. (2006). Naming skills of children born preterm in comparison with their term peers at the ages of 9 and 16 years. DEVELOPMENTAL MEDICINE AND CHILD NEUROLOGY, 48(1), pp. 28–32. doi:10.1017/S0012162206000077 . Jordan, R., Howlin, P. and Bowler, D. (2006). Editorial. Autism, 10(1), pp. 5–6. doi:10.1177/1362361306063929 . Molesworth, C.J., Bowler, D.M. and Hampton, J.A. (2005). The prototype effect in recognition memory: intact in autism? JOURNAL OF CHILD PSYCHOLOGY AND PSYCHIATRY, 46(6), pp. 661–672. doi:10.1111/j.1469-7610.2004.00383.x . Bowler, D.M., Briskman, J., Gurvidi, N. and Fornells-Ambrojo, M. (2005). Understanding the Mind or Predicting Signal-Dependent Action? Performance of Children With and Without Autism on Analogues of the False-Belief Task. JOURNAL OF COGNITION AND DEVELOPMENT, 6(2), pp. 259–283. doi:10.1207/s15327647jcd0602_5 . Berguno, G. and Bowler, D. (2004). Understanding pretence and understanding action. BRITISH JOURNAL OF DEVELOPMENTAL PSYCHOLOGY, 22, pp. 531–544. doi:10.1348/0261510042378254 . Bowler, D.M., Gardiner, J.M. and Berthollier, N. (2004). Source memory in adolescents and adults with Asperger's syndrome. JOURNAL OF AUTISM AND DEVELOPMENTAL DISORDERS, 34(5), pp. 533–542. doi:10.1007/s10803-004-2548-7 . Berguno, G. and Bowler, D.M. (2004). Communicative interactions, knowledge of a second language, and theory of mind in young children. JOURNAL OF GENETIC PSYCHOLOGY, 165(3), pp. 293–309. doi:10.3200/GNTP.165.3.293-309 . Burack, J.A., Iarocci, G., Flanagan, T.D. and Bowler, D.M. (2004). On mosaics and melting pots: Conceptual considerations of comparison and matching strategies. JOURNAL OF AUTISM AND DEVELOPMENTAL DISORDERS, 34(1), pp. 65–73. doi:10.1023/B:JADD.0000018076.90715.00 . Gardiner, J.M., Bowler, D.M. and Grice, S.J. (2003). Further evidence of preserved priming and impaired recall in adults with Asperger's syndrome. JOURNAL OF AUTISM AND DEVELOPMENTAL DISORDERS, 33(3), pp. 259–269. doi:10.1023/A:1024450416355 . Burack, J.A., Iarocci, G., Bowler, D. and Mottron, L. (2002). Benefits and pitfalls in the merging of disciplines: The example of developmental psychopathology and the study of persons with autism. DEVELOPMENT AND PSYCHOPATHOLOGY, 14(2), pp. 225–237. Bowler, D.M., Gardiner, J.M., Grice, S. and Saavalainen, P. (2001). Erratum: Memory illusions: False recall and recognition in adults with asperger's syndrome (Journal of Abnormal Psychology (2000) 109:4 (663-673)). Journal of Abnormal Psychology, 110(2), p. 215. Peterson, D.M. and Bowler, D.M. (2000). Counterfactual reasoning and false belief understanding in children with autism. Autism, 4(4), pp. 391–405. doi:10.1177/1362361300004004005 . Bowler, D.M., Gardiner, J.M. and Grice, S.J. (2000). Episodic memory and remembering in adults with Asperger syndrome. JOURNAL OF AUTISM AND DEVELOPMENTAL DISORDERS, 30(4), pp. 295–304. doi:10.1023/A:1005575216176 . Bowler, D.M. (2000). Asperger's syndrome: A guide for parents and professionals. INFANT AND CHILD DEVELOPMENT, 9(2), pp. 125–125. Bowler, D.M., Berthoud-Papandropou, I. and Kilcher, H. (2000). Metalinguistic awareness in children with and without autism. INTERNATIONAL JOURNAL OF PSYCHOLOGY, 35(3-4), pp. 297–298. Bowler, D.M., Gardiner, J.M. and Berthollier, N. (2000). Source memory in adults with Asperger's syndrome. JOURNAL OF COGNITIVE NEUROSCIENCE pp. 135–135. Bowler, D.M. and Thommen, E. (2000). Attribution of mechanical and social causality to animated displays by children with autism. Autism, 4(2), pp. 147–171. doi:10.1177/1362361300004002004 . Bowler, D.M., Briskman, J.A. and Grice, S. (1999). Experimenter Effects on Children's Understanding of False Drawings and False Beliefs. The Journal of Genetic Psychology, 160(4), pp. 443–460. doi:10.1080/00221329909595558 . Bowler, D.M., Gardiner, J., Grice, S. and Saavalainen, P. (1999). Illusory memories in the free recall of high-functioning individuals with autism. JOURNAL OF COGNITIVE NEUROSCIENCE pp. 18–18. Bowler, D.M., Gardiner, J.M. and Grice, S. (1998). Episodic memory in high-functioning autism. JOURNAL OF COGNITIVE NEUROSCIENCE, 10, pp. 49–49. Bowler, D.M. and Brook, S.L. (1998). SPD and autistic spectrum disorder. INTERNATIONAL JOURNAL OF LANGUAGE & COMMUNICATION DISORDERS, 33(1), pp. 91–95. Bowler, D.M. and Strom, E. (1998). Elicitation of first-order 'theory of mind' in children with autism. Autism, 2(1), pp. 33–44. doi:10.1177/1362361398021004 . Bowler, D.M. (1997). Reaction times to mental state and non-mental state questions in false belief tasks by high-functioning individuals with autism. EUROPEAN CHILD & ADOLESCENT PSYCHIATRY, 6(3), pp. 160–165. Stefanatou, A. and Bowler, D. (1997). Depiction of pain in the self-drawings of children with sickle cell disease. CHILD CARE HEALTH AND DEVELOPMENT, 23(2), pp. 135–155. doi:10.1111/j.1365-2214.1997.tb00889.x . Bowler, D.M., Matthews, N.J. and Gardiner, J.M. (1997). Asperger's syndrome and memory: Similarity to autism but not amnesia. NEUROPSYCHOLOGIA, 35(1), pp. 65–70. doi:10.1016/S0028-3932(96)00054-1 . Bowler, D.M. (1997). Reaction times to mental state and non-mental state questions in false belief tasks by high-functioning individuals with autism. European Child and Adolescent Psychiatry, 6(3), pp. 160–165. doi:10.1007/BF00538988 . Bowler, D.M. (1996). Mindblindness: An essay on autism and theory of mind - BaronCohen,S. EUROPEAN JOURNAL OF DISORDERS OF COMMUNICATION, 31(2), pp. 210–213. Bowler, D.M., Matthews, N.J. and Gardiner, J.M. (1996). Implicit memory in Asperger's syndrome: No support for the autism-amnesia parallel. INTERNATIONAL JOURNAL OF PSYCHOLOGY, 31(3-4), pp. 15460–15460. BROOK, S.L. and BOWLER, D.M. (1995). COMMUNITY ADJUSTMENT OF MOBILE PEOPLE WITH LEARNING-DIFFICULTIES AFTER TOTAL HOSPITAL CLOSURE - A PRELIMINARY-REPORT. JOURNAL OF INTELLECTUAL DISABILITY RESEARCH, 39, pp. 177–185. doi:10.1111/j.1365-2788.1995.tb00498.x . BOWLER, D.M. and WORLEY, K. (1994). SUSCEPTIBILITY TO SOCIAL-INFLUENCE IN ADULTS WITH ASPERGERS-SYNDROME - A RESEARCH NOTE. JOURNAL OF CHILD PSYCHOLOGY AND PSYCHIATRY AND ALLIED DISCIPLINES, 35(4), pp. 689–697. doi:10.1111/j.1469-7610.1994.tb01214.x . BROOK, S.L. and BOWLER, D.M. (1992). AUTISM BY ANOTHER NAME - SEMANTIC AND PRAGMATIC IMPAIRMENTS IN CHILDREN. JOURNAL OF AUTISM AND DEVELOPMENTAL DISORDERS, 22(1), pp. 61–81. doi:10.1007/BF01046403 . BOWLER, D.M. (1991). Rehearsal training and short‐term free‐recall of sign and word labels by severely handicapped children. Journal of Intellectual Disability Research, 35(2), pp. 113–124. doi:10.1111/j.1365-2788.1991.tb01040.x . Bowler, D.M. (1991). FORUM: Need for Theory in Studies of Augmentative and Alternative Communication. Augmentative and Alternative Communication, 7(2), pp. 127–132. doi:10.1080/07434619112331275793 . Hooper, H. and Bowler, D.M. (1991). Peer‐tutoring of manual signs by adults with mental handicaps. Mental Handicap Research, 4(2), pp. 207–215. doi:10.1111/j.1468-3148.1991.tb00100.x . BOWLER, D.M. and KIERNAN, C. (1990). Free recall of lists of word and sign labels by severely handicapped children. Journal of Intellectual Disability Research, 34(2), pp. 157–168. doi:10.1111/j.1365-2788.1990.tb01525.x . Bowler, D.M. (1987). Using an Apple II to control a two-field projection tachistoscope. Behavior Research Methods, Instruments, & Computers, 19(4), pp. 377–379. doi:10.3758/BF03202581 . Bowler, D.M. and Kiernan, C. (1987). Spatial and temporal sequencing of signs and words by severely mentally retarded children. American Journal of Mental Deficiency, 92(1), pp. 112–115. Bowler, D.M., Cufflin, J. and Kiernan, C. (1985). Dichotic Listening of Verbal and Non Verbal Material by Down's Syndrome Children and Children of Normal Intelligence. Cortex, 21(4), pp. 637–644. doi:10.1016/S0010-9452(58)80011-8 .